Nancy Petyarr is one of the noted Petyarr sisters, who are highly regarded as fine painters. 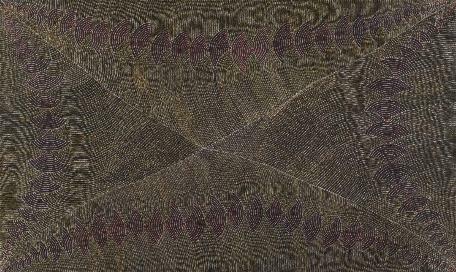 Both of her sisters, Gloria Petyarr and Kathleen Petyarr, are well recognised on the international art stage. Nancy was part of the original art movement at Utopia, participating in the batik project in the 1980s. Both her daughter Elizabeth Kunoth and grand-daughter, Genevieve Loy are also painters. Nancy paints the Mountain Devil Dreaming, also known as the Thorny Devil. She depicts the journey of the little lizard along the dreamline. It changes colour as it travels from dawn to dusk and this helps it to travel undetected. Nancy's paintings are also based on women's ceremonial body paint designs, ''Awelye''; the translation to canvas offering a further aesthetic appreciation of an art tradition grown from one of the world's oldest living cultures. Nancy Petyarr was involved with the batik project held in Utopia in the late 1970s and into the 1980s including the exhibition of batik silks now in the Holmes a Court collection, Perth. She also created painted and carved wooden sculptures in the 1980s. 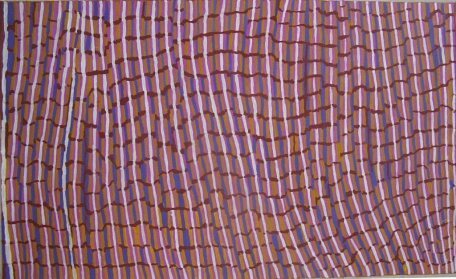 Nancy began painting with synthetic polymer on canvas when this was introduced by the Central Australian Aboriginal Media Association (CAAMA) in the late 1980s.